The car was an early college graduation present from my parents, I just had to make the last year of car payments and she was all mine! 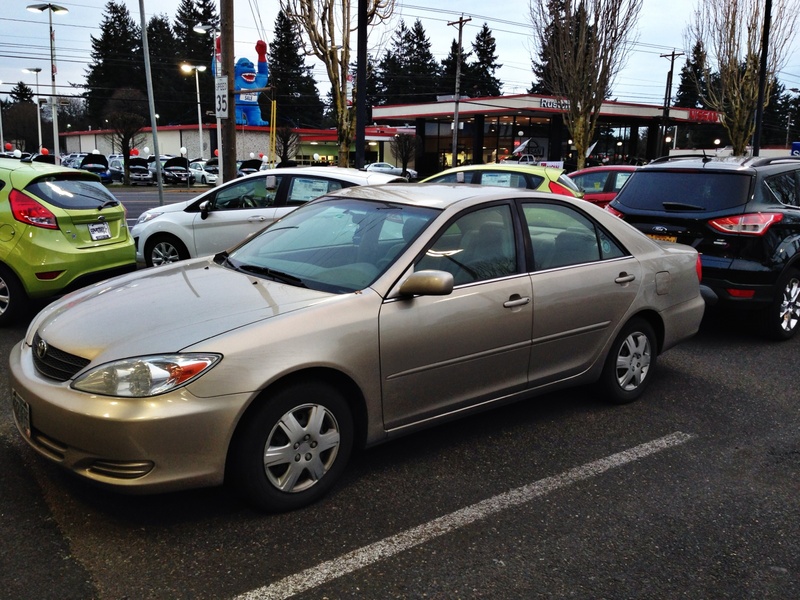 I paid off the car rather quickly and for the past 10 years have enjoyed zero car payments :) She was super reliable and never broke down; minus a few minor maintenance issues, but what car doesn't have those? We've been through a few accidents together and one mean lady in a parking lot with a very sharp key (sorry car!). But she always kept me safe. We've been on countless road trips together - down to Arizona and back, down to San Francisco and back a few times, not to mention a bazillion trips between Portland and Seattle during mine and Luke's long distance days. The memories that I have with this car are countless, but she was 12 years old with 177,000 miles, so it was time to move on while I could still salvage some money from the deal. Little brown car, we had a great run this past 10 years. You'll be missed. Kind of... I'm quickly liking the touch screens, voice command system and double sunroof in the new car :) How crazy is it that in another 10 years those features will all be ancient?! Crazy, I tell ya!